Sergiu Carstea is an accomplish trumpet player from Moldova who completed his post-graduate studies in Paris’ well known Conservatoire National Supérieur de Musique. He has played solo and in orchestras for over 2 decades. 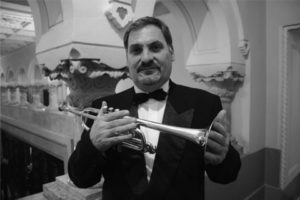 Since 1978, Sergiu has been a professor trumpet at a handful of Romanian and Moldovan universities, high schools and conservatories. He also gives master classes in higher education institutions throughout Europe and in Canada.